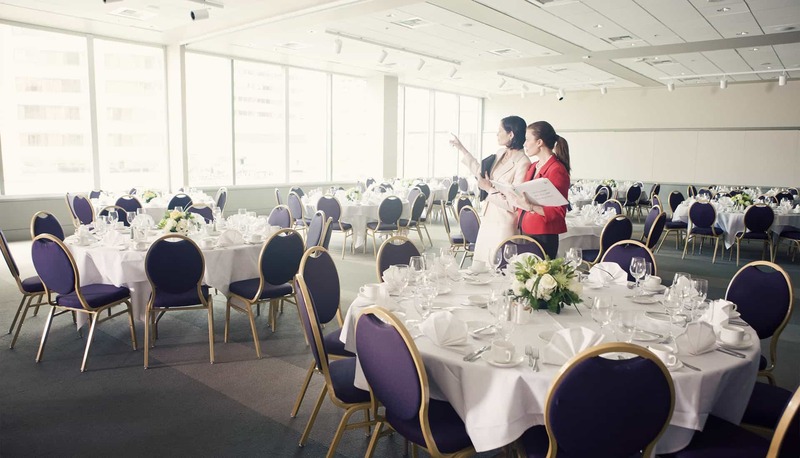 In choosing a venue for a corporate event, due attention should be given to the location of the venue and how convenient it will be for all attendees. A neutral venue that does not seem to favor or place any of the attending parties at a disadvantage should be an ideal choice in this case. The venue should also be well scoped out for venue-specific services, this should be achieved through inquiries. Information on whether the venue offers Technical services, catering services, technical support staff among others should be considered as well. For the comfort and smooth running of the event, the venue should be well ventilated or airconditioned and should be of acoustical standard. In addition to the furniture offered by the venue, preparations should be made towards the provision of additional chairs and tables to cover any circumstances that may arise. Appropriate linens and furniture decorations should be arranged for use. This arrangement can be made in accordance with the list of expected attendance. Power is of utmost importance in a corporate event, as such, extra measures should be taken to make sure there are no failures and in the case of an unexpected interruption, adequate backup plans should be put in place beforehand. The success of any corporate event depends largely on the audiovisual component. All the equipment that will be used at the event should be secured on time, aside these, audio and visual devices, screens, projectors, speakers, microphones, tablets, and other technical devices should be adequately provided and checked to avoid hitches. PUREAV, a leading company in providing audiovisual services will be your best bet in this situation; they will check out the venue to decide the most suitable services and then provide these efficiently. They will also be on the ground through the event to make sure all goes smoothly. PUREAV will ensure the all-round success of your event as it relates to the audiovisual component. Depending on the needs of the event, reliable internet access should be provided. Even if it is not a requirement of the event, WiFi should be provided for convenience. For the catering needs of the event, a survey can be carried out with the local vendors in the vicinity to get an idea of the estimates of the varieties available and their prices. Inquiries can also be made at the earmarked venue to know if they provide catering services and if such will be preferable. This can be provided in the attachment to the venue. There is also the option of obtaining security with local security companies or other trusted companies in the business. Either of these can be contracted to serve for the duration of the event. Every item listed in the template goes with a description. This makes it easy and understandable to anyone that would be in charge of executing all the activities that will be involved in planning and seeing the event through. A proposed budget contains the estimated costs of all the requirements listed above. This can also be seen as the proposed cost of the event. These can be gathered from surveys and inquiries. It is advisable to give a wide margin in estimation to leave enough room to go for the best affordable option in a range. Even though cost management is important, quality is essential as well. This is the final cost of the event. Corporate affairs, be it meetings, conferences or training events are serious interests that usually have a lot weighing on them. Therefore the success of such should be a topmost priority to the one who plans them. The different activities and modules that ensure success should be paid due attention, the role of Audiovisuals, in particular, cannot be undermined. The above template covers all that is needed to pull off a successful corporate event. Flexibility is always encouraged, but more so is efficiency and accountability. If you are looking for Audio Visual Company, please take a moment to fill out the form below and our staff will be sure to respond within 24 hours. Afterward, we encourage you to check out Pure AV’s social handles and view our past projects – Facebook, Instagram, LinkedIn and YouTube. We hope to hear all about your upcoming conference! 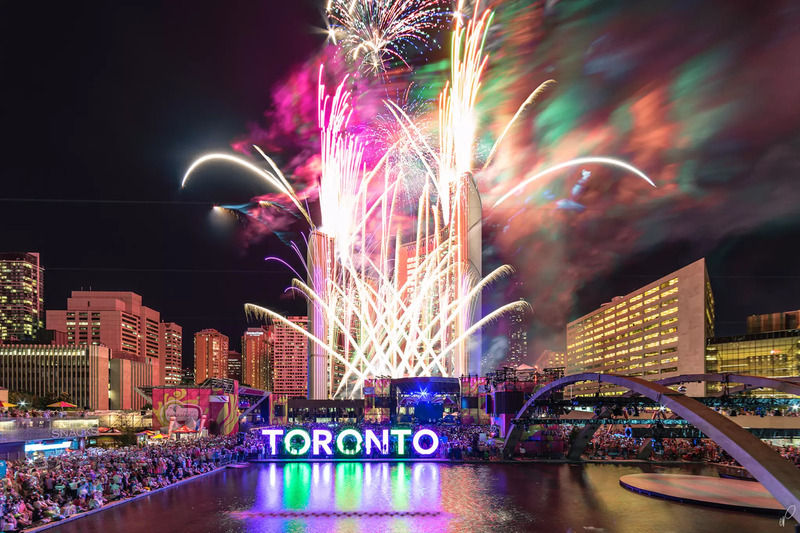 Top 10 Conferences Happening in Toronto in 2019: The year 2018 has been an eventful year if we want to talk about conferences and Canada has played host to a number of these. These conferences cover a variety of areas and disciplines like Agriculture and Forestry, Medicine and Pharmacy, Information Technology, Education and Training, Building and Construction among others. As 2018 draws to an end, hope is not to lost as we are heading into another memorable year. The year 2019 promises to be an eventful one, so anyone interested should rework their schedules to accommodate some amazing training opportunities at the conferences coming up, here is a list of the top ten conferences coming up in Canada in the year 2019. Listed above are the top ten conferences coming up in 2019, these are excellent opportunities for self-improvement and development as these events will play host to seasoned speakers and experienced professionals. It will also be an avenue to experience the beauty of Canada and to meet like minds and make valuable connections that will go a long way. If you are planning to host a conference in Toronto and Looking for a reliable Conference audio visual provider then look no further. Pure AV is one of the leading AV company specialized in Conferences from mid to large scale. If this got your interest, please take a moment to fill out the form below and our staff will be sure to respond within 24 hours. Afterward, we encourage you to check out Pure AV’s social handles and view our past projects – Facebook, Instagram, LinkedIn and YouTube. We hope to hear all about your upcoming conference! Music Playlist For Business Events/Conference: Business events are gatherings where commercial enterprises are discussed and deliberated upon by professionals. It’s a gathering that could be marked by a presentation of ideas, research proposals on various topics, and brainstorming sessions. Business conferences can have people coming from as far as all over the world, to just people from within a locality. The atmosphere of such occasions is serious as matters concerning finance and growth are discussed, with this in mind, a music playlist for such an occasion should be selected with care, it should be stretched as far as possible to cover the taste of a majority of the group. Under this guise, popular songs are highly recommended as there is a high probability that most people in attendance must have heard and enjoyed such songs, even if they have not, the chances that they will enjoy them are encouraging. The Music playlist should be chosen with consideration to the age demographic of the meeting, some old time hits may be perfect to make old timers nostalgic and put them in a good mood as trending songs will also help youngsters to relax and open up more. While at a business forum, an individual from any category or generation will tend to be apprehensive, expectant, or even straight up jittery as no one can actually really predict the end of these meetings, so it is important for the group in charge of the music to be as sensitive as possible. Cultural and religious sensitivity is also a keynote point to consider, it would prevent a lot of awkwardness if the list of attendees is thoroughly checked to understand the diversity that would be present, vulgar lyrics, discriminatory wording, and suggestive lines could be embarrassing and straight up insulting to the personalities. Conclusively, the music playlist should have songs that would put people at ease, have a relaxing effect on them and make them more open and welcoming to ideas and situations, loud and clingy music is not recommended unless it particularly suits the demography to the tee, we would not want our attendees tense and jumpy. Music at a business meeting cannot be overemphasized and as such, careful attention should be given to it. WHY YOU SHOULD RENT TOUCH SCREENS FOR YOUR EVENT: Earlier, meetings were done on dusty files and rusty offices; at best, there were unique offices and chandeliers that spoke of class. But today, not only has the taste changed, the channels have, and the methods have advanced technological models. In this article, you’ll see the diversity and distinctiveness of touch screens in events and how it has advanced our corporate and even personal life. Touch Screens devices are technologically designed to simplify presentations and encourage the passage of messages with easy flips and slides. This innovative kind of board has become a newer and better way to communicate and pass ideas corporately. A report has it that touch screens have become more rampant in use with the numbers expected to increase as the years go by. In fact, as at 1940, pieces of evidence suggested that there would be no feasible use for touch screens but later in the 1980s, the invasion was recorded, and today, we all know the rest is history. This is perhaps what we find most important here at pureav.ca. Touch screens can be used to photograph, picture, and represent ideas in major conferences or gatherings. Unlike the old methods, however, there won’t be need to wipe objects off the blackboard, it could all be done with the speed of light. It is not enough to say and direct your audience to a page in your presentation. It is equally important to express what is said visually. With visual aid, the message is sent faster, clearer and with less misconstruction. More so, while it is easier to forget what is read or heard, what is seen is hardly misunderstood. Touch screens enhance presentations by representation. We must, however, include that it is when this is combined with apt audiovisual services that the best can be actualized. Touch screens can be manipulated by simple flips and deals. It is quite fast in representation, and pre-installed portions can be brought to light with ease. This is perhaps another intriguing facet of touch screen in events. Clear and acute is what pureav.ca canvases for and if we say touch screens make your conferences better, we mean it. Touch screens, be it by way of tabs and phones, or by way of hubs and large digital boards, is the sure way to go. Your audience would see clearly, and they would feel less left out. Furthermore, some facts are better related visually than any other means. Think of stats, think of audio researches, think of graphs and charts, and we will mention touch screens. We must say at this juncture that you can only expect maximum impact when you are putting in maximum efforts. Touch screens make excellent conference additions only when combined with the right audio visual skill. With amateur audiovisual service, you will have a skirmish sound, a terrible representation, and an unclear view. These will surely destroy rather than enhance a much-desired presentation. What we are trying to say is this: get the best audiovisuals or forget about touch screens on a larger scale. Of course, this is where we come in. At Pureav, we are experts in audiovisual services, and we make bold moves to assure you the best and quality service. AUDIO VISUAL NEEDS FOR A CONFERENCE : Are you planning a big or moderate conference and looking for high-quality audiovisual trends that will not just shine a light on your conference but also make it the success it deserves to be? Then this post has all you’re looking for. The truth is, when dealing with audiovisual needs for an event or conference, you’ll have to be consistent with your choice. And by consistency, I mean going for reliable and high-quality sound and audio visual services that helps you emphasize your message while driving home your point to your audience. Remember, that a glitch or slip can throw off the momentum and ruin your whole presentation. 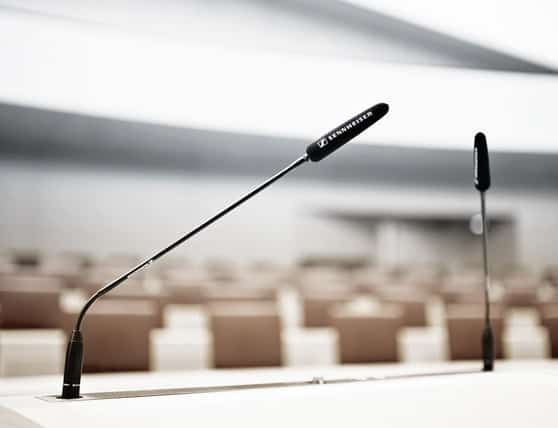 When you are considering the audiovisual needs for a conference, you’ll need to go for certain technology to enjoy clarity during communication. Here are just a few that matters greatly. Whether for video conferencing or presentation that will drive home your message to your audience, you’ll definitely need some kind of display screen. The type of screen you may need depend on the scale of your conference. Regardless of that, a quality HDTV screen can work for a smaller conference while you can leverage a combination of screen and projector for a much larger conference. If you need something that would blow your audience away, you wouldn’t go wrong to consider a Hi-Res LED video wall technology. Just like your visual display needs, the audio system you’ll need for your conference depends on the scale. For smaller conferences, a clear audio from a computer or camera should do. For larger conferences, on the other hand, you’ll have to go for audio systems like premium quality microphones, speakers and a host of other equipment. Control systems are very important in planning a successful conference especially a big conference at that. With various audiovisual technologies strewn together for a successful audio conference, you’ll need a control system that serves as a central point for tweaking all of the technology put together to make your conference a success. When it comes to organizing a successful conference, lighting is very important, especially for a big conference that will attract lots of audience. With that said, you’ll want to go for a lighting that is uniquely designed to not just boost illumination but also ensure that your audience are focused and absorbing the message you droll out to them. Although, lighting may not take the center stage during your conferences, but then you should make sure, it is never ignored. When it comes to offering quality audio visual services, PureAv has earned their place as one of the best on the market currently. As a full-service audiovisual company, PureAv has all the latest audio-visual technology that will make your conferences magical while helping you to drive home your message to your audience in style. Reach out right away, let’s show you how we can make your conference a success. 12 TOP EVENT VENUES IN TORONTO DOWNTOWN: Whether you’re planning a private dinner or a corporate event party, one thing that should always be top on your to-do list is to find a breathtaking venue that will leave your guest amazed. And guess what, you don’t have to break the bank or spend a fortune to get a venue to impress your guest or audience. The most important details are to ensure that whatever event space you decide to settle for should have the ambiance, amenities, and space to make your event lit and successful. So, if you’re planning a corporate event in Toronto downtown and looking for a space that would make your event a successful one; you’ll want to check out these top 12 event spaces. 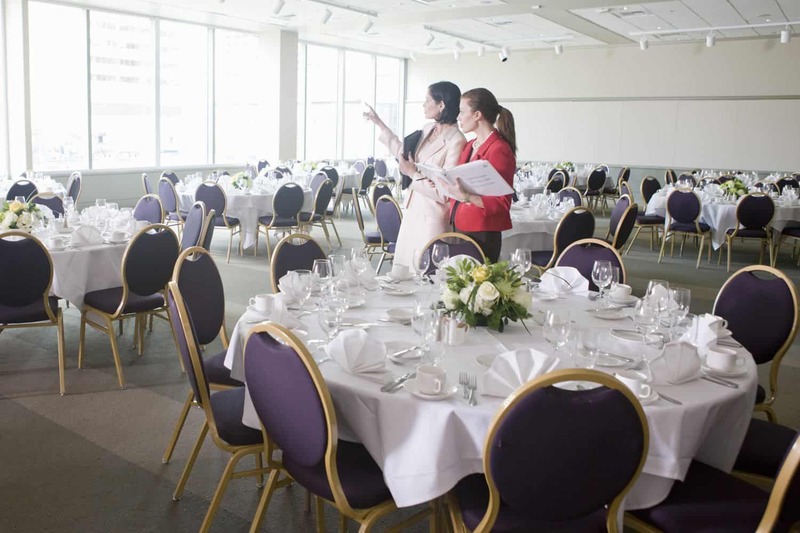 Sitting on the 51st floor of the Manulife Centre, this elegant space has all you need to host a successful event. With its quintessential appeal and exciting amenities, you have the perfect space to host your events and threat your guest to an unforgettable time. With this space to the rescue, you can take your team out to grab a drink while enjoying the overwhelming view of Toronto’s skyline. Surprisingly, the price ranges from $40-50 per person, and you know what, the venue can host 225-250 people. Steam Whistle Brewery has got to be one of the most popular event places in Toronto downtown. And given its downtown location and the breathtaking view that covers the famous CN Tower, Sports Arenas, and Ripley’s Aquarium; your guests are in for a blast. But that’s not all, the Steam Whistle Brewery is a classic building with well-planned architecture, exposed brick pipe, and top-notch amenities all designed to make your event a successful one. Whether you’re planning a corporate event or large galas, the Steam whistle Brewery is prepped to help you make a statement with your event. If you’re in Toronto and looking for a perfect place to host an event, you wouldn’t go wrong to give the all exciting Loft 404 a try. Trust us when we say this event place has all it takes to make your event a blast. The setting and design are enough to wow your guest while helping your company to make a statement. This open space concept boast of a private room that is absolutely perfect for hosting corporate events or retreats. With a capacity to hold 250 people, Pursuit is one space you would want to book for your next event. The exciting thing about this space is that it allows your team and guest to bond easily. Although this may not be your typical event venue but guess what, their indoor obstacle course allows you and your guest to enjoy an awesome time of bonding. If you have ever dreamt about hosting an event in a real-life castle, then you wouldn’t turn down the opportunity to host your event to at Casa Loma. Located in the middle of Toronto, this event space is perfect for your black tie event. As a matter of fact, Casa Loma has a lot of highlight spots that adds a touch of creativity to your event. Located in West Queen, this breathtaking event place has been dubbed the Mecca for the creative minds. With an abundance of space for rentals, you’ll definitely get the space of your dream to host your company’s grand event. There is a studio space, an enchanting hallway and yes, a shared art room that is intentionally designed to add color to your events. This has got to be one of the most charming event places located on the famous Wellington Avenue. With its captivating view, patio, foosball table and other board games, you have all you need to give your guest a swell time. If you don’t mind mingling with others, this space is the perfect event place to bond with your team and guests. Are you looking for a trendy and large space to host your private parties or corporate events? Then Sudbury will not fail to impress you and your guest. Its large space makes it absolutely spot-on for hosting big corporate events, galas and other sporting events. If you’re thinking of hosting big events, don’t wait another second, give 99 Sudbury a try and you’ll be thrilled you did. Do you want to be creative with your next event and have all the space you want to design your event the way you want it to be? Then head right away to the Fermenting Cellar. This blank space of a venue gives you the freedom to plan your event to perfection. Its ambiance and quintessential feel is what makes this event place highly sought after. Blue mounting resort is the mother of all event centers in Toronto. And giving the abundance of space, state of the art facilities and other amazing amenities they boast of, it is easy to see why space is highly sought after by individuals and companies looking for the perfect spot to host their events. As a side attraction, Blue Mountain Resort offers breathtaking hiking trails, spas, skiing mountains and a restaurant that serves well-prepared delicacies. Although this exciting event place isn’t a traditional place to host a corporate event, yet still, Balzac’s Coffee is uniquely pitched to host intimate, corporate and other kinds of events. If you’ll want to host an event that is out of the ordinary, this is one space you’ll want to experiment with. Believe us when we say, your event is guaranteed to leave your guest speechless when you invite them to a space that is new to them. For companies and individuals who want a rustic feel and atmosphere for their event, you should consider giving Rosehill Venue Lounge a try. This space has been built to perfection with exciting amenities to spice up your events. For a successful event, you’ll be proud of, Rosehill Venue Lounge is absolutely spot-on. With these charming event places in Toronto, you’ll be spoilt for choice of which event space best work for you. To make your event the talk of the town, you wouldn’t go wrong to reach out to us for our blends of audiovisual services. Without mincing words, our audiovisual services are not only affordable but are also guaranteed to amplify your event. CONFERENCE TREND 2018: Planning a great conference or event your audience would be thrilled about involves many factors including technology. With the perfect technology in place, your conference or event is guaranteed to give your audience an exciting experience that would be on their lips for a long time to come. And with some of the hottest audiovisual trends in 2018, your conferences and other similar events have never been more successful and rewarding. Without a doubt, audiovisuals are very important when it comes to planning a successful event and with these trends continually evolving, it’s crucial to keep abreast of these changes. So, without any further ado, here are some audiovisual conference trends in 2018 that are guaranteed to make your conferences the talk of the town. Yes, voice control solutions and automation technologies are already taking hold of homes, but you know what, this technology is prepped to take over conferences and other events. With voice control, your voice can now play a bigger role in the control of other technologies in your industry. And although there are varieties of home automation devices that are already spotting a number of voice control options like Alexa, SIRI or Google home, these technologies are now being integrated into commercial AV systems that will allow you to take control of your conferences just the way you control your homes; how cool can that be? With the current advancement in audio-visual technology, a lot of tech users are beginning to expect so much from their microphones. Good enough, innovative technology like the famous beamforming mics are getting set to replace less sophisticated technologies which are guaranteed to remarkably create a better user experience. Let me put things in retrospect, with voice tracking microphone at your conferences, you no longer have to be conscious of where the mic is, in fact, you can have your back to the mic and still be heard loud and clear. With this audiovisual technology in place, we are one step away from a full-fledged room sensing technology which is generating a lot of buzz at the moment. So, if your goal is to dramatically improve your conferences, this audiovisual trend is guaranteed to give you an experience you’ll be thrilled about. Cloud-based conferencing are also beginning to change how events and conferences are organized. As a matter of fact, we are now experiencing a shift as audiovisuals are now moving out of conference rooms into a well designed centralized system for data processing. This technology will allow for easy integration of cloud-based and video conferencing. Although the endpoint will remain largely unchanged, this technology is prepped to improve user experience dramatically. 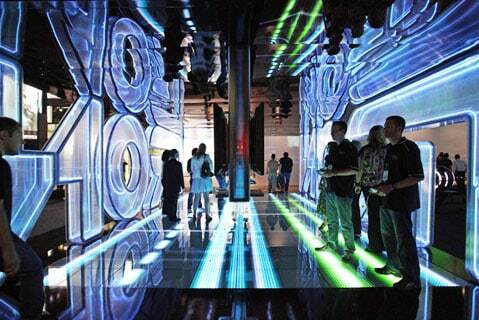 As technology continues to advance, audiovisual technologies are guaranteed to keep changing. Without mincing words, 2018 is already ramping up to be an interesting year with lots of innovative technologies that will remarkably transform your conferences and other events. Don’t be left behind, make the most of these technologies for your conferences and other similar events and you wouldn’t be disappointed you did. Attention to detail is an absolute necessity when it comes to corporate and private functions. There is a want to get it right, especially if it is a keynote speech or a presentation that needs perfect execution. We could go on to identify a thousand problems, but instead, let us discuss the solutions. How do I get the stage and front of the house ready (note: the front of the house is the space were AV controls will be setup)? How can I procure the right visual gear? How can I achieve audio and visual accuracy? When should I start planning my event and what should my checklist contain? To plan properly and adequately, you should follow these steps. You should start your core planning few months before the function. There are too many areas to cover. When it comes to audiovisuals, the earlier – the better. You need to talk about the sound, lighting, and video; so starting late and expecting to make an excellent work out can be challenging. Speakers and AV cables should be set. Sort out the audio essentials by selecting the appropriate soundboard/mixers, and pick your microphones. For a large crowd, you can enhance proximity by using projectors at your event. As such, you should get equipment needed to install them. Visuals are also equally important, but settle your lighting and sounds before everything else! You should ensure that your front house is well handled and not crowded. Always assign capable hands to take charge of the lights, the audio, the video etc. Also, you may want to ensure that FOH does not in any way, obstruct your stage. Leave the audio for the professionals! You cannot become a DJ or expert audio professional all of a sudden. You need to procure the help of a sound manager for the event. This will ensure everyone can hear the speech or performance on stage. Your stage décor must be lit. Illumination is powerful, and it helps your audience to focus on the presenter. In every presentation, you should ensure that there are adequate lighting for your stage decoration. 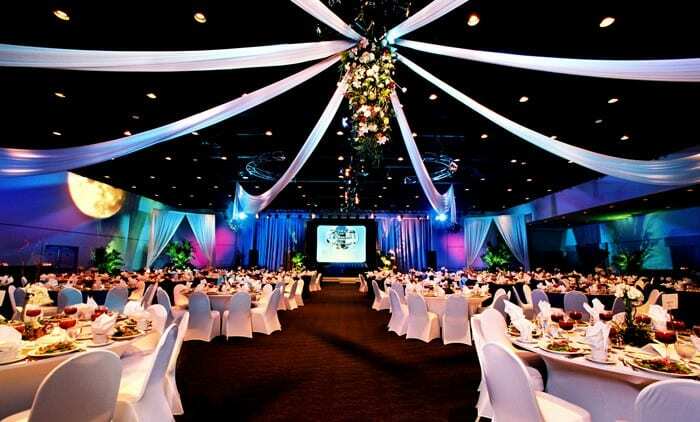 You can choose to use big lights or go with simple drape lighting; depending on your budget. How to Plan It Perfectly? Procure the services of an expert audiovisuals group, relate what you want, get a quote that suits the job and get your full audiovisuals handled. So the ultimate solution is to get expert hands on deck, especially if it is an important function. Feel free to ask someone for Pure AV for a quote whenever you are ready. Click here to get a Quote from us. When it comes to the overall appearance of a venue, an audio checklist is extremely important. However, the effectiveness of the event will also depend on this list and even choosing the venue will rely on this very same thing. You might be asking yourself, audio visual is a combination of visual and sound components at an event. In most cases, this refers to the lighting, screens, and sound systems in a particular venue but the scope of these devices and components is different in every instance. Choosing the venue is an extremely important decision and the event organizer should have a visual representation in mind when it comes to the overall appearance. At the same time, there are certain logistics which need special attention and ample time is needed to ensure everything is done right. For example, electrical outlets are needed for every aspect of audio visuals.Without sufficient outlets, there is likely to be complications with the setup. Furthermore, the venue should be conducive to the components, in a sense that there needs to be structures from which the lighting can be attached and enough space for presentation equipment etc. We can bring everything in to accommodate client’s needs, but it certainly needs to be discussed. As already mentioned, you will need to assess the number of electrical outlets in the venue but you will also require an audio visual checklist before you can know what this entails exactly. That is to say, you need to know the number of cameras, lights, microphones, and computers before you can know the requirements for choosing the right venue. Although one screen is sometimes enough at an event, depending on the size of the room, two screens can increase the impact of a presentation. In this sense, the screens can be placed on either side of a stage or in strategic locations to ensure every seat in the house. Lighting is one of the most affordable ways to transform a venue and an obvious necessity for audio visual at any event. Lighting dictates the mood and without the right balance, this can be the difference between a clear presentation and one that leaves the audience squinting throughout the presentation. With this in mind, there must also be a facility to dim this lighting in order to accentuate the screen(s) in the room. In some instances, a microphone or speakers may not be needed for an event. However, this is quite uncommon and mostly confined to very small events take place in particularly small rooms. As a rule, if there are more than forty attendees, microphones and speakers are necessary. Similarly, if video is being used during the event, there really should be speakers to amplify this sound. After all, even the best movie directors emphasize that audio is often the most important aspect of filmmaking. Finally, if the speaker intends to walk around during this presentation, a wireless microphone is necessary. Most often, projectors will feature on an audiovisual checklist and while these are rather expensive, a decent projector is a perfect aide for a speaker. Needless to say, you will need a screen on which to project these visuals and you should decide on the placement of this screen when choosing the venue. On the other hand, whiteboards or flip charts also feature prominently during presentations. Naturally, if you do decide to go with this option, you will need to include whiteboard markers on your audiovisual checklist. Does the presenter have a laptop which can easily integrate with the existing setup? 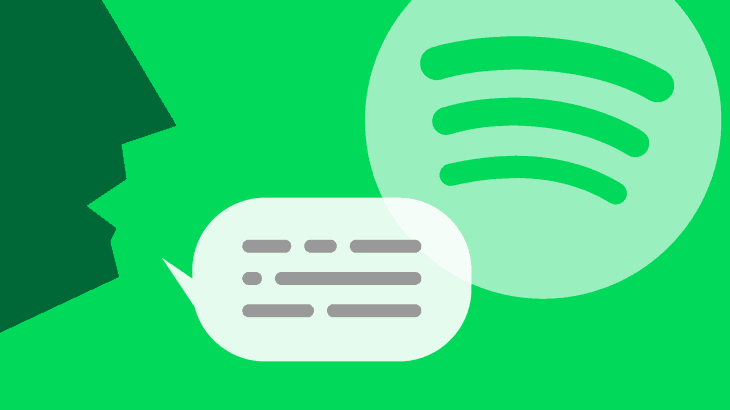 As you know, this is often where the audio functions or playlist will originate and this must also connect to the speakers. In every instance, this should be tested long in advance of the start of a presentation to ensure there is enough time to organize a backup or alternative solution. Is this an event you might want to publish on social media or use as a reference in the future? If so, you will need to take the required camera equipment and have this set up prior to the event. Keep in mind, the camera requires a lavalier microphone to get the most out of the occasion. Although many of the most common issues or glitches at an event are easily fixed, medium to large events should have a technician onsite. Indeed, you may want to use this as an opportunity to cut costs but the truth is, you need a technician for the times when you least expect to need one. In a time when the online world is taking over the real one, the internet is usually expected at an event. However, the use of the internet as part of a presentation or audio visuals is just as common. For this reason, the event should have easy access to the internet and an audio visual checklist should always incorporate a mobile hotspot or facility of some kind which can cater for this access. As you can see, this is merely a rundown of the basics for audio visuals and a checklist to help event planners when it comes to reducing any risk of problems on the day of an event. At the same time, every event requires a different approach and in every instance, the success of an event is likely to come down to the amount of care and preparation that is taken to define an audio visual checklist. Audio Visual Tips to Create Successful Events: In today’s technologically driven world, nothing is complete without visuals and sounds. For every event to become successful, audio setups play an integral role without which the shows become boring and not attractive. So, if you are planning to have a big event whether it’s a concert, seminar, conference or any other particular show then, you definitely need to know the audio tricks so that people can actually enjoy the essence of the event. Don’t know where to start and who to contact? Worry not as we are here to guide you step by step in making a big event just for your benefit! The one big game-changing factor for making an event successful is the creativity. No matter how much you are going to pay for all the setup and equipment – if your audiovisual supplier doesn’t have the creative insight, the event is not going to grab the guests right attention. Projection mapping is one of the latest technology in the field of audio visual which basically makes 3D projections on flat surfaces. Almost all the top-notch companies use this art in their hi-fi presentations, seminars and events. We at Pure AV provides the best quality projection mapping facility with the reliable and efficient tools and projectors. Bringing individuality and uniqueness in your event is a must so that it can be differentiated from all the other similar events. Plan out your own theme and design, discuss it with your team and then contact the appropriate audio visual supplier. Make sure to convey your own idea to them so that they can arrange a customizable setup for your event. The crew at Pure AV can help you to translate your ideas into practical suggestions and solutions. What could be better than making your whole event a digitalized function? Discuss with your audio visual supplier to provide you with all the available digital methods that can enhance the sound quality. Today, everything is possible. You just need the vision and courage to change every situation. A good company can easily transform a ballroom into a conference setting. It just needs all the right technology and gear. Making use of all the opportunities is one way to get success. Make use of the fact that almost everyone who is going to come at your event will have a smartphone. So, design a way that will allow the attendees to visualize all the multimedia on their phone screens that will help you in receiving their opinions and polls. A phone application can serve this purpose quite normally if you have an application developer in your team. Pure AV makes sure that the audio quality is superior and every person attending the event can hear the speaker clearly. We have professionals in our team that can make an event worthwhile to attend. Investing in the audio setup for your event will give you meaningful results in the long run. If you are organizing an event, the first factor is always going to be that you expect your audience to see and hear you properly. Spending money on the audiovisuals is important for making your event prime and impactful. Pure AV is an audio visual company that serves all such companies that are planning to arrange an event from Conference AV to Trade Shows.We have all the latest equipment, technologies and tricks to enhance the quality of the sound system at your event. Starting from simple speakers to hi-tech woofers, we got you covered.